Safety | Anslow Bryant Construction, LTD.
Our approach to safety is founded on the actions of our personnel. During the development and implementation of our program, James Bryant has communicated a clear directive and expectation for Anslow Bryant to be the best in class in every aspect of business, but places an even higher emphasis on safety. This directive is put into motion by providing the time, support, and every resource needed for our safety program to be successful. The desire and commitment to be known as one of the regions safest companies has paid quick dividends. We are one of the first contractors to qualify and sign the new OSHA Exemplary Partnership through the AGC. Anslow Bryant is committed to safety from the top down. James Bryant has eagerly demonstrated his involvement by attending the same safety training that all Anslow Bryant team members attend. All Anslow Bryant supervisory personnel are 30 Hour OSHA Certified. All Anslow Bryant hourly workers are 10 Hour OSHA Certified. 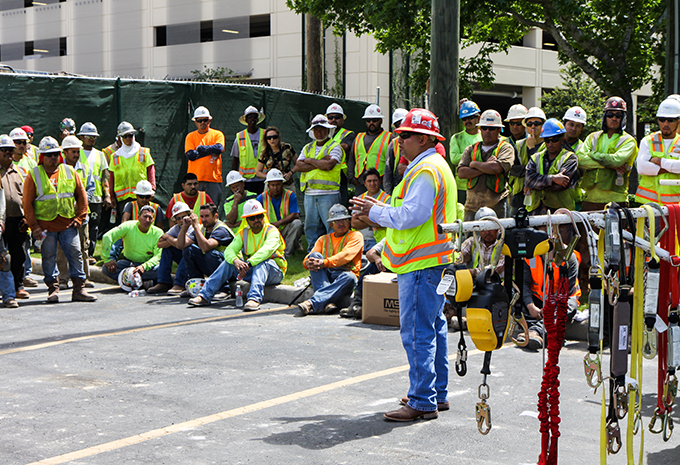 All workers on site are required to participate in site-specific training.